Well we weathered the storm here on the homestead. Like most places on the east coast it rained and the wind blew. Lucky for us no trees were blown down and no flooding to speak of. Around 4a.m. in the morning is started snowing and it has continued all day. The ground temp never got quite cold enough to freeze so the snow never accumulated more than an inch. 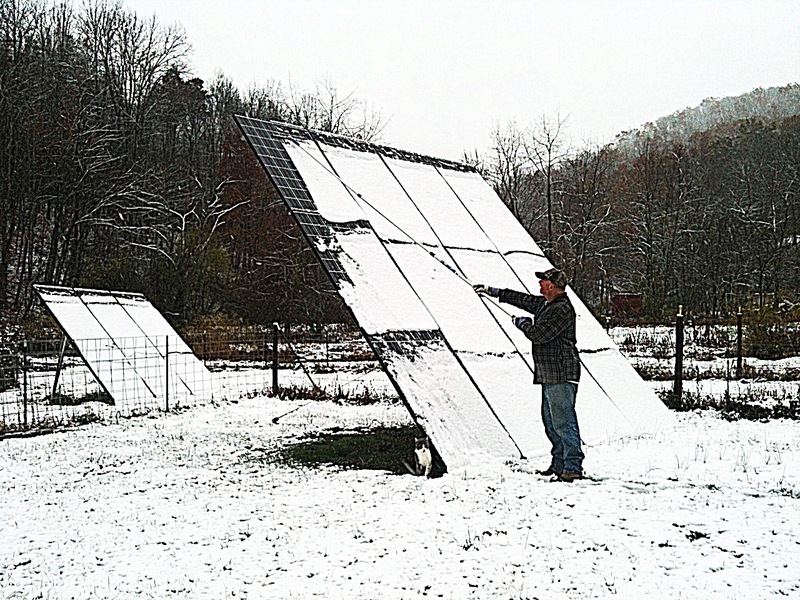 But, there was enough snow to cover the solar panels. A couple of years ago, we got a extendable squeegee and it worked just fine for the chore. 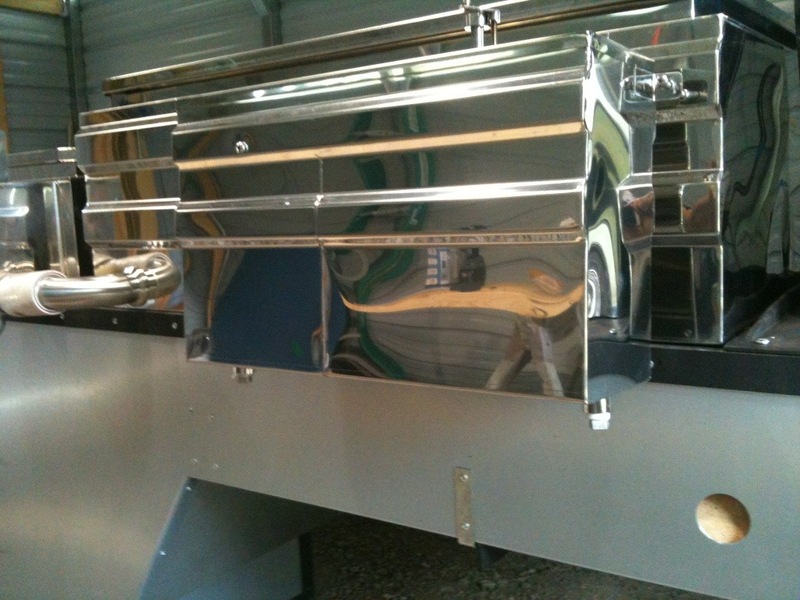 We have also been working a lot on the sap evaporator. We built a heavy duty stand to hold the raw sap, plumbed the 100 gallon tank to the evaporator flue pan and will be putting up the smoke stack and flashing as soon as the weather gets better. You are currently browsing the Off-Grid in West Virginia blog archives for October, 2012.